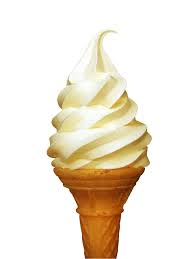 Sunday night is the annual Ice Cream Social! Enjoy a variety of ice cream treats at the pavilion from 6-9pm. Music starting around 6 pm with Country Joe & The Honky Tonk Heroes followed by Sam Schmidthuber! Bring a lawn chair and enjoy this wonderful evening in Terre Hill. Light “hot food” items also available. Movie Night in the Park is Tonight! Movie Night in the Park is TONIGHT in Terre Hill! Movie to start at dark, around 8 pm. Refreshments available at pavilion. 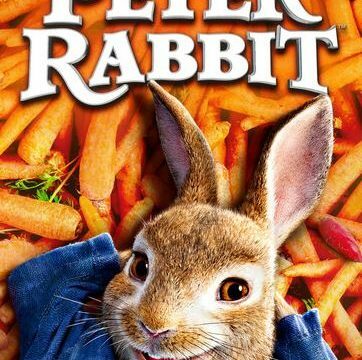 Our August Movie in the Park will feature “Peter Rabbit”! Summer Fun @ Terre Hill Park… TONIGHT!! Join us tonight at the Terre Hill Park for Summer Fun Night! It’s a mix of events that we weren’t able to hold at Terre Hill Days due to the weather- but will be in full force soon! We’ll be opening at 4 PM today. Come early and enjoy dinner at the pavilion and other food vendors including ice cream, popcorn, soft pretzels, french fries, lemonade and more! Take home a prize from one of our game stands- with all proceeds benefiting the park. Walk-In Bingo will start at 6 pm. 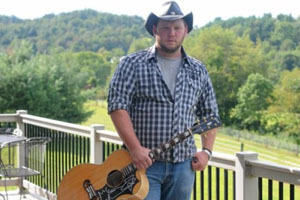 Later, enjoy entertainment by Ruth Di Sipio at 6:30 pm and Chad Reinert at 7 pm on the main stage. We’ll have fun light up toys for sale at the Terre Hill Days canopy. 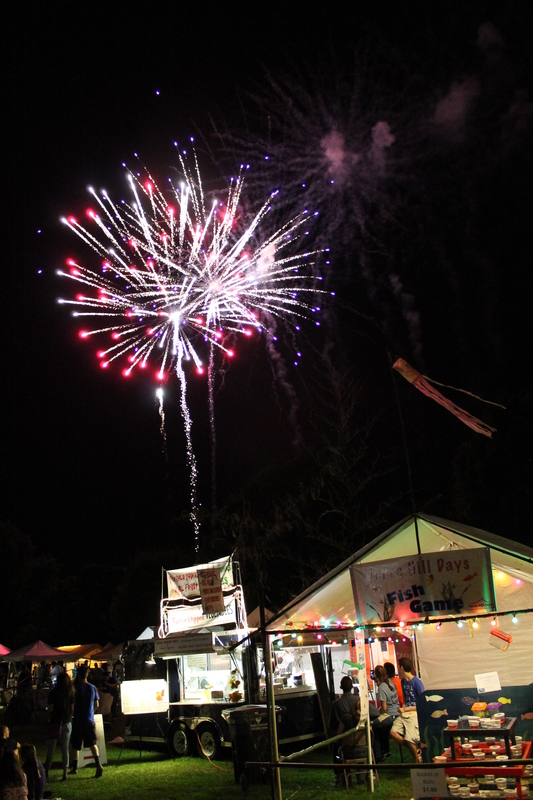 Buy a glow necklace and support the park… and light it up for FIREWORKS at 10 pm! Lunch, Fireworks and a Movie This Weekend! It’s a big weekend in Terre Hill! Friday– Lunch in the Park starts this Friday and runs through the end of the month. 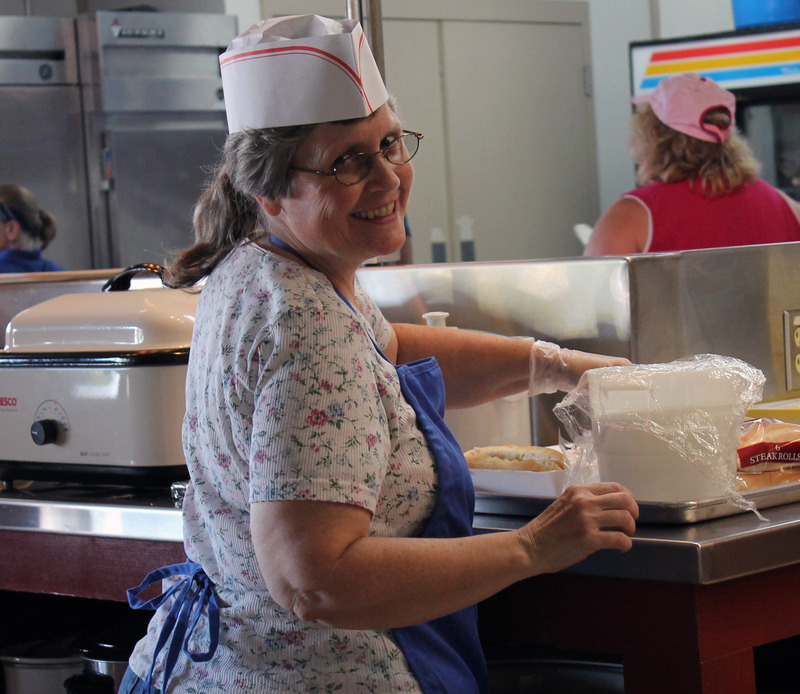 Serving at the pavilion from 10:30 am – 1:00 pm. Stop by for free ice cream with your lunch! Saturday– Summer Fun Night – A variety of events including an airplane candy drop, music, food, games and fireworks. Click here for the full schedule. Sunday– Movie Night in the Park – We’ll be showing Peter Rabbit at dusk (around 8 pm) by the main pavilion. Refreshments available, admission is free! Breakfast & Yard Sales in the Park is tomorrow morning! Browse dozens of yard sales and enjoy a buffet breakfast at the pavilion. Both yard sales and breakfast open at 7 am. Yard sale spaces are available for only $5- no reservation necessary. Come to the park at 6 am to set up.